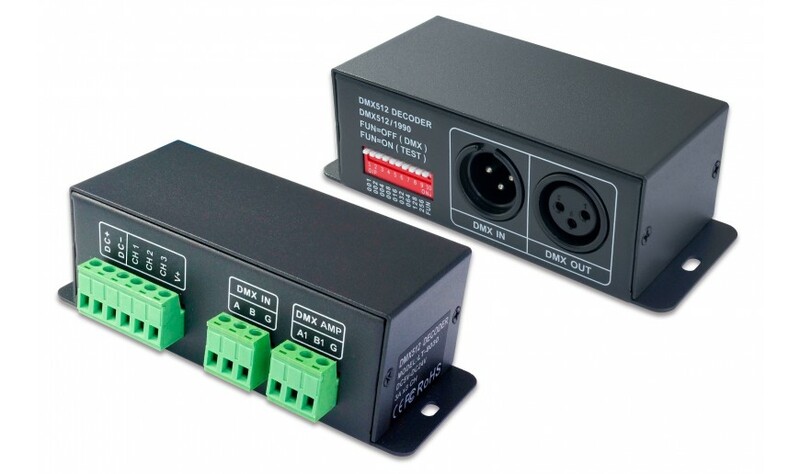 This series of DMX controllers enables you to control your LED's by means of a DMX signal. 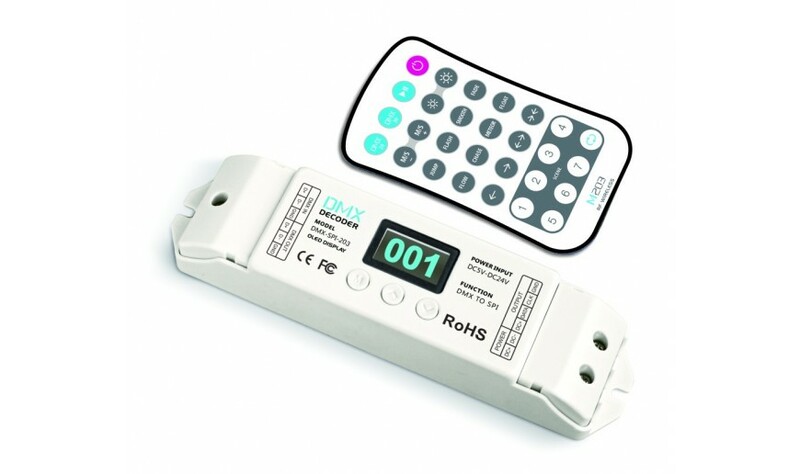 This way, you are able to use your own DMX light jockey and use LED's in your lightshow. 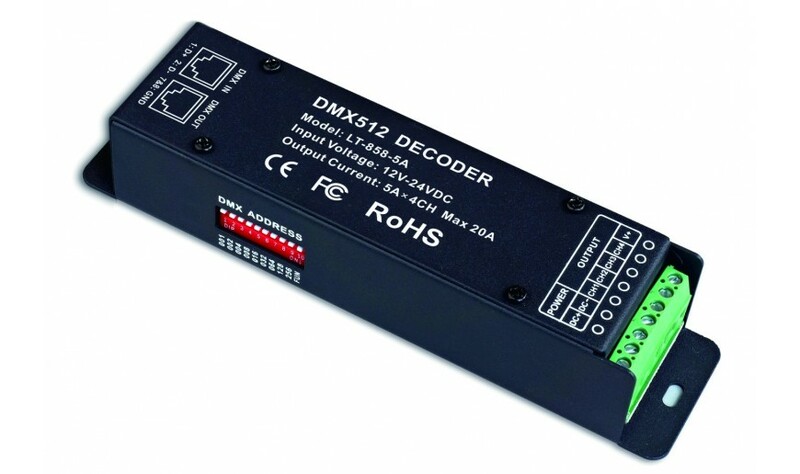 Depending on which DMX decoder is chosen the controller uses 3, 4 or 24 DMX channels. 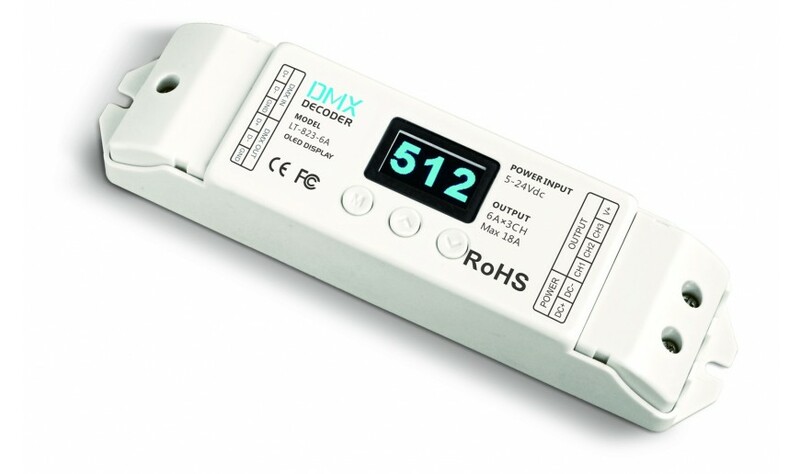 Every channel has 256 steps to dim the LED's. Dimming is without any flickering. It is easy to choose one of the preset colors in the stand alone mode. Also, you can choose a color loop by setting all dipswitches "on".